HURON, Ohio (WJW) -- It's the selfie request going viral. One Huron mom's interesting way of keeping tabs on her daughter is landing their family in the national spotlight. "Send the selfie," said Heather Steinkopf explaining her method to keep track of her teenager. "Where are you? She just does it. Sometimes it's just a fun thing to keep her on her toes." In a tweet that’s going viral, a daughter shows off her mother’s selfie requests via text in order to check up on her. A picture says a thousand words including where you are when you take it. It's a fact Heather Steinkopf, a mom of five is counting on. 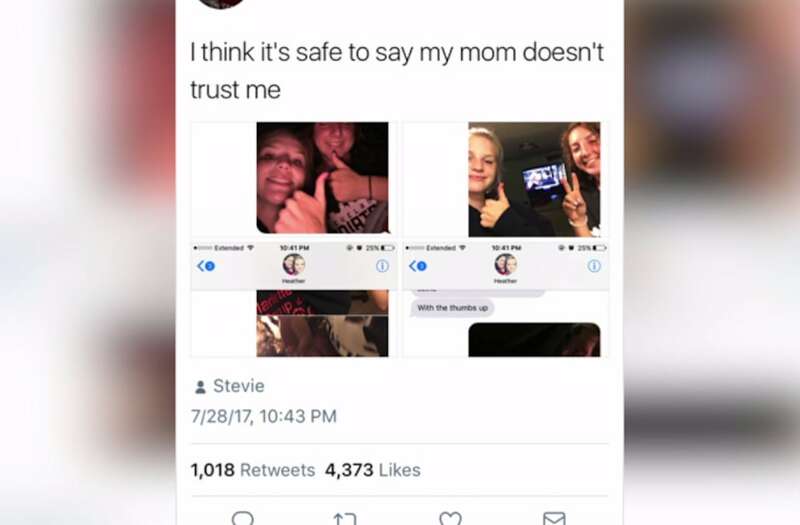 She often jokingly asks her daughter Kaelyn Demmon, 18, to send selfies just to make sure the teen is being honest about her whereabouts. "I've always provided a selfie when she asked," said Demmon. "I'm smart about that. I'd rather provide it than not provide it and get in more trouble." Demmon tweeted screenshots of a few of her exchanges with her mom. Since then it's been gaining attention and liked thousands of times. "I thought it was just going to be a joke amongst my friends and a couple of them would like it," said Demmon. "I didn't really expect all the commotion." The college bound teen says she never broke any major house rules. The tradition started with her older brother who is now in the Navy. "I want to know where they are not because of some crazy reason but because I love them," said Steinkopf. Demmon and her mom say they plan to keep the joke going in college but will not be sending selfies as often.